Happiness breeds terrible writing. Sorry about that: it’s kinda been the fatal flaw of this blog from the very start. But I’m still going to blog from the local maximum of the happiness curve (‘the top’), because it’s more fun for me this way, so fans of schadenfreude can console yourselves that for all we know next week will be all weeping and gnashing of teeth. 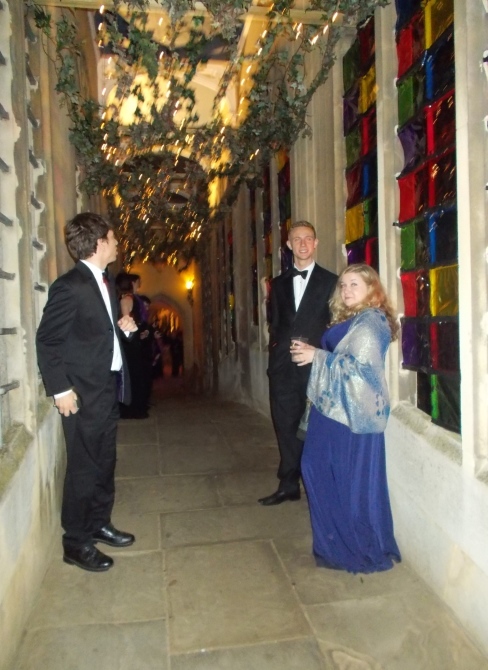 The last two weekends have been birthday weekends: firstly for Emily, whose annual house party is one of the few things which can tempt me south of the river, and then for Robert in Manchester. This one confirmed my belief that the best parties are the ones which can dispense with all of the standing and awkward moving between groups in favour of one communal gathering around sofas, powered by pizza and Call of Duty and drinking games and (pretty violent) arguments about probability. I was (I checked) the only Arts gradate in a room full of mostly Chemistry graduates and PhD students, which was great for making me feel stupid but also enlightening and much fun. And then this week I’ve had the week off, seeing as it was my birthday and I needed a holiday to cope with becoming so old. 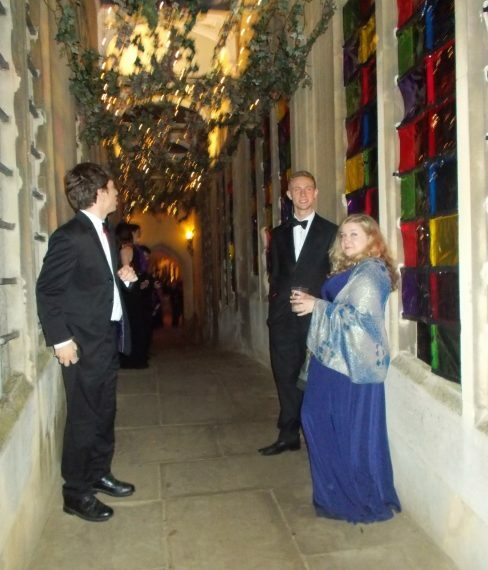 I also needed time off to go to the John’s May Ball with Simon, Ellie and Patrick, of course. After dodgem cars, fireworks, doughnuts, mini golf, ostrich burgers, Simon Amstell, Rudimental and lots and lots of gin, we left at the not-hugely-impressive hour of 4am to get some sleep. Because we are old. But then there were more birthday things! Michele became possibly the first Chicago resident ever to visit the UK and make a beeline for Willesden Green, to be rewarded \ punished by Self-family antics and slapstick. Yesterday Katie took me to see Joss Whedon’s film adaptation of Much Ado About Nothing, which was glorious and funny and – like most Shakespeare plays – leaves you with a mix of “hah, nothing changes” and “hah, pretty sure you can’t yell at someone for not being a maiden anymore”. OK, that’s it. Back to your regularly scheduled programming of rants at Question Time and cynical observations about the standard of typefaces in online commerce.